National Poetry Month was established in 1996 by the Academy of American Poets to highlight the achievements of poets, past and present; to promote the reading and writing of poetry in schools and by individuals; and to encourage people to discover the joys poetry can bring all year round. Poetry Month is now celebrated in April in the United States, Canada, and Great Britain, with other countries holding their own events during other times of the year. “There was a naughty Boy, / A naughty boy was he, / For nothing would he do / But scribble poetry—” With ink stand and pen he ran away “to the mountains / And fountains / And ghostes / And Postes / And witches / And ditches.” In the winter he wrote with his coat on, not fearing contracting gout; and when the weather was warm, he abandoned his coat while he captured the charm of the North. This quirky poem that follows the travails and travels of a little boy filled with wanderlust, a gift for writing, and insight beyond his years is a perfect match for Chris Raschka’s art. Topsy-turvy perspectives, vivid colors, and evocative and action-packed vignettes beautifully represent the boy’s “naughtiness” and precocious imagination. 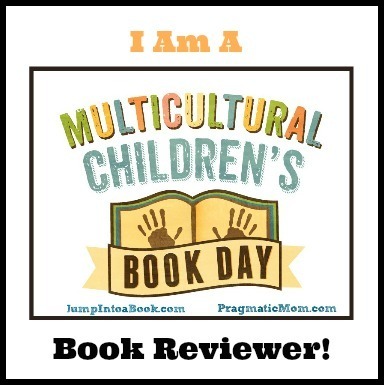 As he dashes across the yard, his house—red capped and with a mustache-shaped lintel over the door—seems to watch through window eyes; the boy’s mighty pen stands taller than he is; and ghosts, witches, castles, and fountains are framed in the hills that he passes on his journey. Bold swatches of yellow, green, and red that split the pages in half serve as directional arrows, roads, and verse dividers while also leading readers to the book’s final wisdom. A Song About Myself: A Poem by John Keats is a joyous treat that celebrates the whimsy of childhood and the wonders of the imagination. For poetry lovers or those who enjoy a good story, this book would make a charming gift or addition to home bookshelves. You can view a gallery of artwork by Chris Raschka on tumblr! 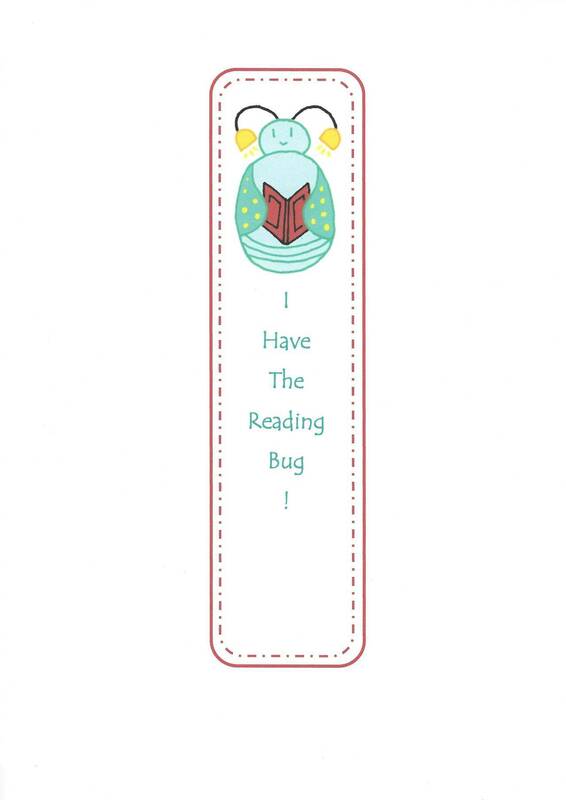 If you love reading, then print out this I Have the Reading Bug Bookmark that can mark your page with style! 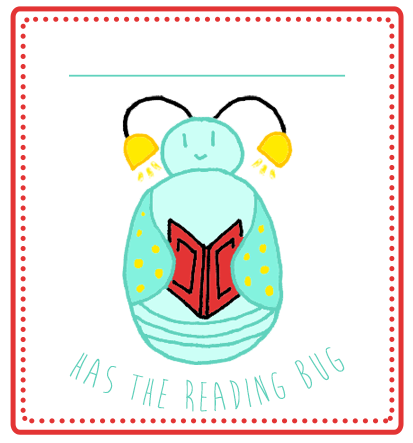 For a sturdier bookmark, print on card stock or heavy paper.